Designer Edo Writing Desk, made in Italy, with top structure in wood finished in veneer or glossy, as follows: glossy lacquer structure, glass top with glossy structure or marble top with glossy structure. 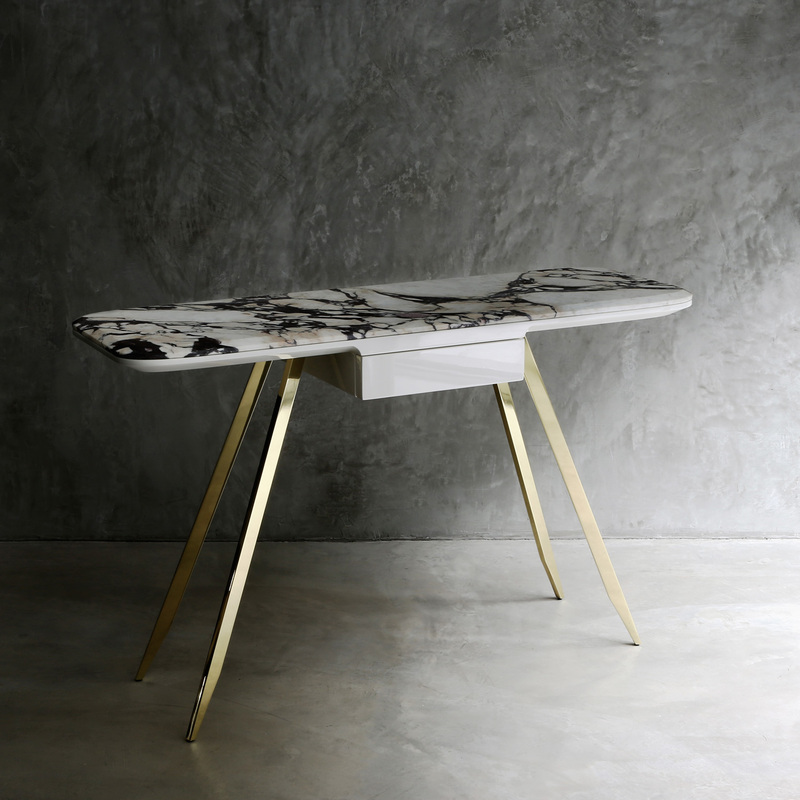 This high-end desk is available with or without drawer. The exclusive legs are in Brass with refined bronze or chrome finish. This Italian Furniture piece can also be a luxury console. 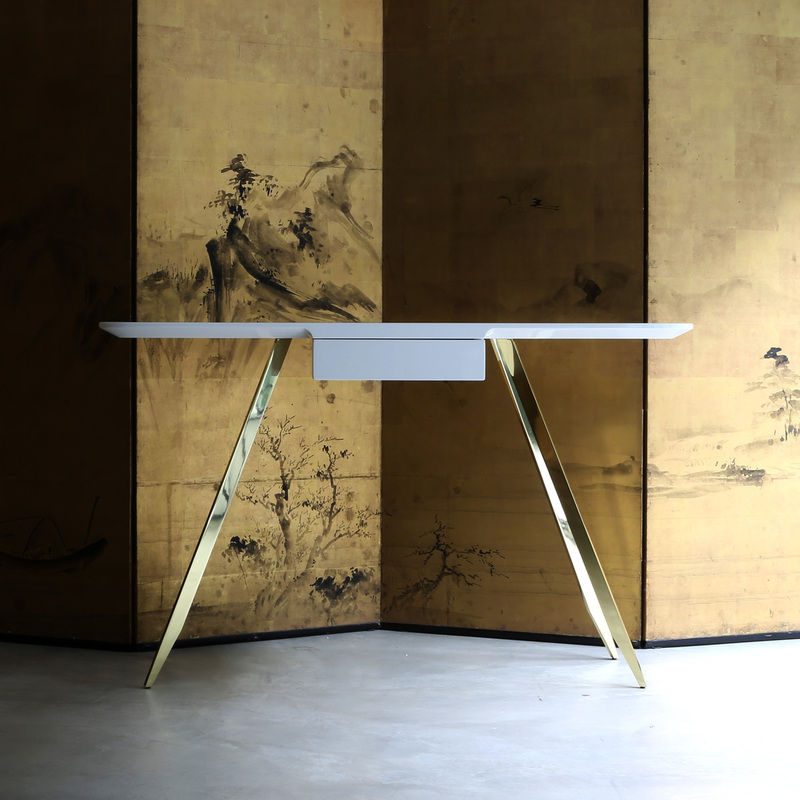 Its Contemporary design, and unique finishes and materials, create this elegant Italian writing desk, perfect for sophisticated home office areas. Designer Edo Console, made in Italy, with top structure in wood finished in veneer or glossy, as fol..